There is, in Laurel (Maryland), a stretch of Route 198 that is hard on restaurants. It is one of those dead zones where drivers may see things on either side, but they tend not to stop. Even the 7-11 moved, though I think that may have been to get a larger parking lot and/or a larger building. Be that as it may, between 8th Street and 7th Street, on the eastbound side (Route 198 is divided at that point), we now find La Muterita #2, which is a Guatemalan restaurant. (711 Gorman Ave.; 301 497 6171; open 8:30 AM to 8 or 9 PM every day except Sunday: they don’t open until 9 AM on Sundays.) I thought it might be interesting to try, as I had never had Guatemalan food. 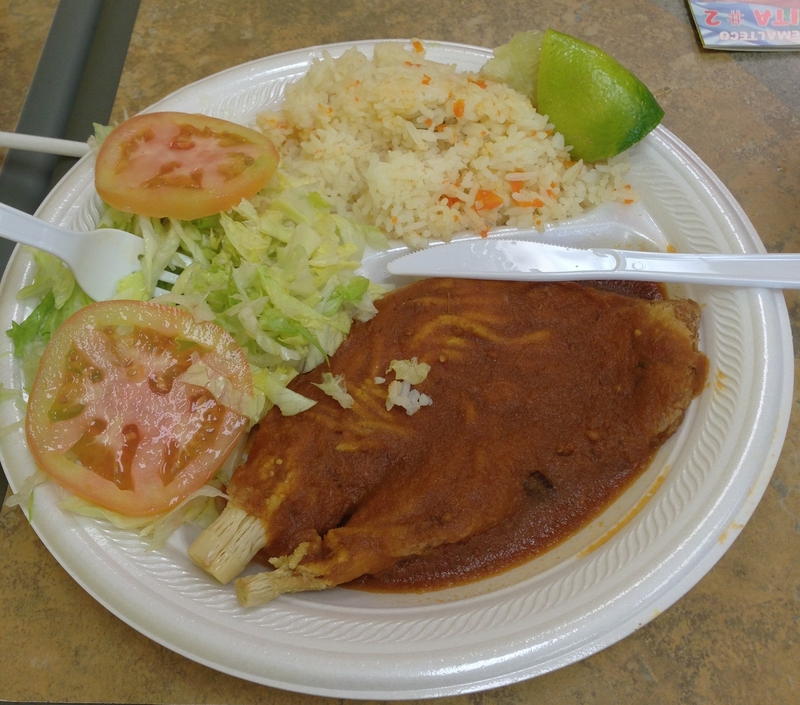 Granted, I didn’t necessarily expect it to be all that different from, say, Salvadoran food, which is abundant in the area. I was, in a word, wrong.  (It didn’t occur to me to take the photo until after I had started in on the salad, so one of the tomato slices is missing.) This usually has grated cheese sprinkled over the sauce, and comes with rice and beans rather than rice and salad; but they were happy to accommodate my food allergies, which is obviously a matter of some importance to me. Speaking of which, I was actually able to drink the horchata, because they make theirs without milk. The atol platano, which I tried when we went back with janetmk, is hot and sweet and expectably splendid. 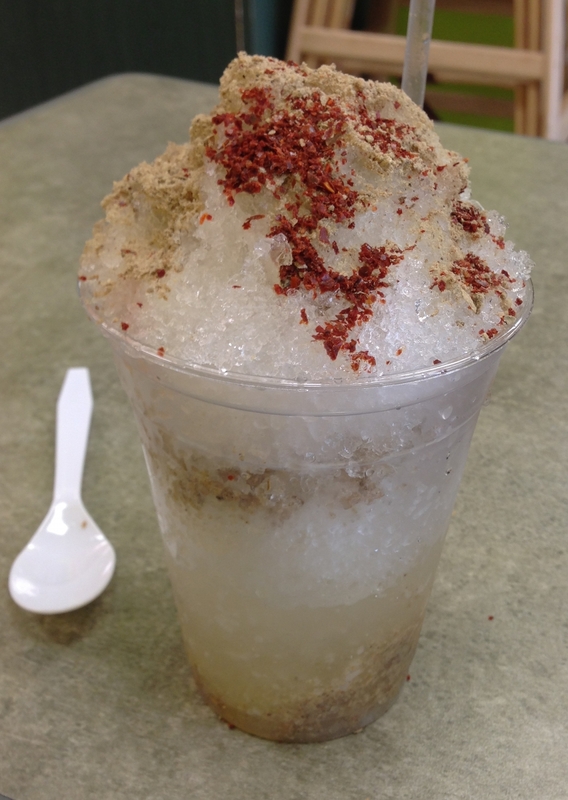 Bottom line: we are extremely pleased to have found this place, and we are happy to recommend it to anyone who likes mesoamerican food and lives [or happens to be] in the area.